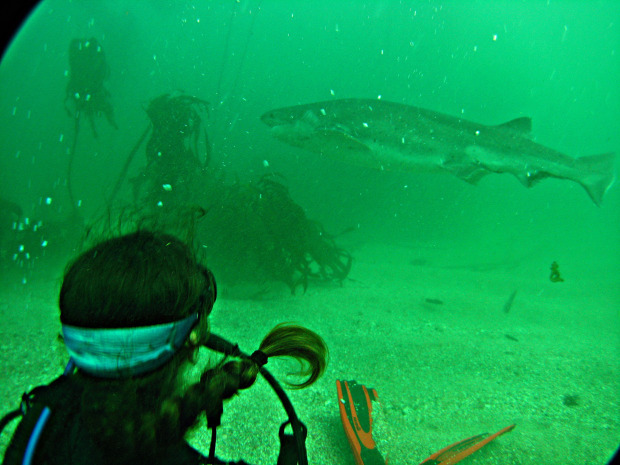 STEM Gem marine biologist Melissa Marquez is the founder of The Fins United Initiative (TFUI). TFUI is a shark, skate, ray and chimaera education and conservation program aiming to unite fin lovers worldwide. Who: Melissa Marquez is a Latina powerhouse with many titles under her belt: marine biologist, wildlife educator, freelance environmental writer. A strong proponent of representation of diverse scientists, she also regularly hosts #STEMSaturdays on Twitter to provide career guidance and advice to young women in STEM worldwide. What: Marquez earned her Bachelor’s degree in Marine Ecology and Conservation degree from New College of Florida, USA and traveled to Wellington, New Zealand to earn her MSc in Marine Biology from Victoria University of Wellington. She currently studies shark migratory patterns, habitat use, and social media coverage of sharks and their relatives. Through The Fins United Initiative, she highlights different sharks from around the world and the organizations and scientists that study them. When: Melissa has never been one for waiting for someone to give her the opportunity; she tends to make it herself. She began giving presentations about sharks while still in high school, formalizing the approach when she reached university. Marquez has collaborated with femSTEM to create a resource for early career scientists to utilize when wondering what the professional steps are. She also writes pieces for environmental journals and magazines. Today, she is preparing to give a TEDx talk about sharks and the women that study them. How: Marquez is a believer that there is true power in uniting together. Scientists as a community are more powerful than the separation of just our fields. She is determined to use her platform to help bring awareness to other scientists and has let that be a core value she hopes to instill in others. She credits her success to having a supportive group of family, friends, and colleagues who work to life each other up rather than be afraid of each other’s successes. Why: Marquez find that Latinos are notoriously bad at self-promoting themselves – especially Latina women. She’s learning to not only put herself out there, but put allow her platform to help lift others around her. TFUI evolved out of an education gap she saw in her community, and she loves being in a position where she can educate others through an alternative kind of schooling. The end goal is to make TFUI bigger than it currently is so it can reach more people and continue to highlight not only diverse Chondrichthyans (sharks, skates, rays, and chimaeras) but the diverse scientists who are studying them around the world. Instead of just asking, ‘How do you create a solution for the lack of representation in STEM?’ she strives to spearhead projects and collaborations that have representation. 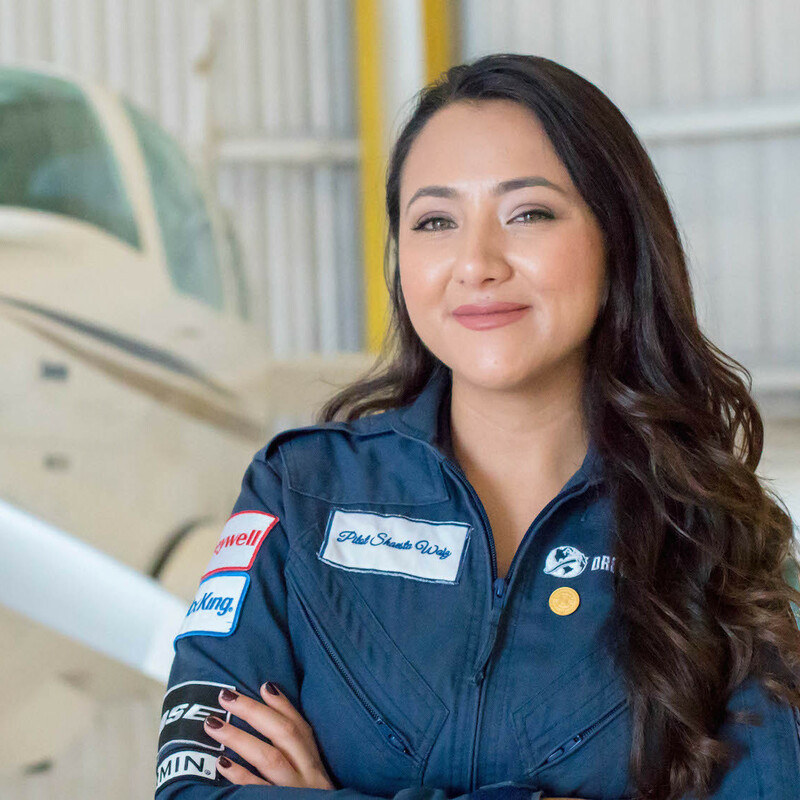 Marquez wants to use her platform to create opportunities for others, because if she wants to see a change in how women in STEM are seen, she believes she has to be the change. She is trying to create avenues for others to have success just as others taught her to live life unlimited and championing the impossible.